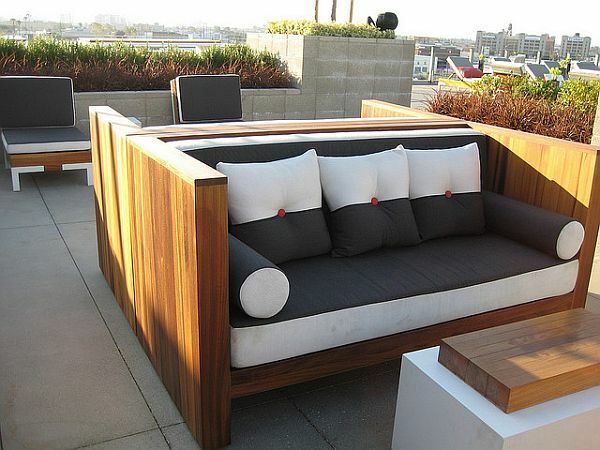 So you’ve found a furniture set that would be perfect for your patio, the only trouble is that it was designed for use indoors. While furniture specifically designed for use outdoors will generally last longer, with proper weatherproofing even indoor furniture may be used out in the elements. If you’re trying to protect furniture made of wood, you will need to treat it with multiple coats of an exterior finish that is designed to protect from both UV rays as well as moisture. Recoat the furniture regularly throughout the season to ensure that the finish does not wear through and lapse in its protection. The fabric of your cushions will likely need to be replaced with canvas or other fabric that is specifically designed for use in seat backs. Replacing any traditional seat foam inserts with a weather resistant alternative, such as Dry fast foam, will help to ensure your furniture dries quickly. This not allows for use shortly after the rain has stopped, but also when combined with the foam’s anti-microbial properties will help your furniture resist mold and mildew growth. Finally, placing your furniture on glides will elevate it off the ground and help keep it from resting in puddles of rainwater. With these tips in mind, you should be able to keep your new patio furniture in great shape despite the harsh effects of leaving it out in the elements. Carlo Badalamenti is the marketing manager for The Foam Factory, which has been custom cutting foam cushions for the United States and Canada for more than 30 years.